For brief reports of the Tribunal ruling, see items 1, 2 or 3; for one of the resolutions at issue see 4, for excerpts of the Tribunal judgment, see 5. John Mann MP and former MP Denis MacShane were collectively described as giving ‘glib’ evidence, while testimony of another key witness for the claimant was described as ‘extraordinarily arrogant but also disturbing’. UCU general secretary Sally Hunt [above] said: “I am delighted that the Tribunal has made such a clear and overwhelming judgement in UCU’s favour. There are many different views within UCU and wider society about Israel and Palestine and this decision upholds our and others’ right to freedom of expression and to continue to properly debate these and other difficult questions. BRICUP today welcomed the outcome of the Employment Tribunal (ET) case brought by Ronnie Fraser against his union, the University and College Union (UCU). The former college teacher’s claim of institutional antisemitism on the part of the union was thrown out comprehensively. “Fraser vs. UCU” was viewed by activists as a test case for all UK unions’ right to advocate boycott of Israeli universities and products, and firms that operate in the Occupied Palestinian,Territory. It also has important implications for free speech on Palestine and Israel on university campuses. Summing up for Fraser, Mr. Julius argued that the ‘attachment to Israel’ of many Jews in the UK constitutes a ‘protected characteristic’ under the Equality Act 2010. If the Tribunal had agreed with him, open discussion of Israeli policies – whether in the unions or in the media – would have become almost impossible. Fraser agreed that he had been able to speak in UCU’s boycott debates but claimed that his speeches at UCU’s Annual Congress were not applauded because of antisemitism on the part of fellow delegates. But UCU’s Counsel, Antony White QC, showed that other Jewish speakers, both for and against the boycott motions, had been applauded. All ten of Fraser’s claims were thrown out by the ET. The judgment says “we greatly regretthat the case was ever brought. At heart it represents an impermissible attempt to achieve a political end by litigious means”. (AUT) and the National Association of Teachers in Further and Higher Education (NATFHE). Please note that while the people quoted above are members of UCU, they do not claim to speak for UCU, only for BRICUP. BRICUP has not yet had sight of the full Judgment from the ET so all comments are based on what is already in the public domain. ● issue guidance to members on appropriate forms of action. Furthermore, even if in fact the disclosure was unwanted, and the Claimant was upset by it, the effect cannot amount to a violation of dignity, nor can it properly be described as creating an intimidating, hostile, degrading, humiliating or offensive environment. Tribunals must not cheapen the significance of these words. They are an important control to prevent trivial acts causing minor upsets being caught by the concept of harassment. The Claimant was no doubt upset … but that is far from attracting the epithets required to constitute harassment. In my view, to describe this incident as the Tribunal did as subjecting the Claimant to a ‘humiliating environment’ … is a distortion of language which brings discrimination law into disrepute. I do not think that a Tribunal is entitled to equate an uncomfortable reaction to humiliation. 51 So long and terrible has been the persecution of the Jewish people through history that much learning has developed on the subject. The study of anti- Semitism has to an extent acquired its own terminology (for example, stereotypes tend to be referred to as ‘tropes’). Naturally, scholars in this discipline, as in any other, disagree. There is even a debate, which raises serious points, about how the term ‘anti-Semitism’ should be spelt. One controversial question much explored in this case is whether, and if so in what circumstances, criticism of the actions and policies of the modern State of Israel can properly be regarded as anti-Semitic. At one extreme, such criticism could be seen as intrinsically anti-Semitic simply because Israel is the Jewish State. The polar opposite view is that the actions and policies of a state are by their nature political, and accordingly criticism of acts by or at the behest of the Israeli government and institutions cannot be anti-Semitic. Between lie many intermediate positions. For some sympathetic to Israel, what is seen as disproportionate or excessive attention to the Israel/Palestine conflict may constitute or evidence anti-Semitism, conscious or unconscious. For others, the determining factor is the tone or content of the language used, in particular where what are seen as anti-Semitic tropes are employed. Many sympathetic to the Palestinian cause, while not excluding the possibility that some criticism of Israel may be actuated by anti-Jewish prejudice, complain that the charge of anti-Semitism is largely raised as a device to distract attention from injustices (as they see them) perpetrated in the name of Israel. Among the vast field of witnesses on the Claimant’s side, there was an interesting spread of opinions on where the line is, or should be, drawn. So, to take one of many examples, Mr Whine of the Community Security Trust, an organisation which provides security, training and advice for British Jews, did not consider that comparisons between Israel and apartheid South Africa were inherently anti-Semitic, whereas the Claimant did. 52 The obvious difficulty confronting anyone seeking to grapple with this controversy is that the arguments cannot meet each other head on unless and until participants agree on what is meant by ‘anti-Semitism’. Without such common ground, questions put to witnesses for the Respondents seeking to elicit a view as to whether such-and-such a comment ‘was’ or ‘was not’ anti-Semitic lacked any meaning. As we have mentioned (and will more fully explain in due course), the Claimant bases his case in part on the rejection by the Respondents’ Congress (in2011) of the ‘Working Definition’ of anti-Semitism produced by what was then the European Union Monitoring Centre on Racism and Xenophobia (referred to above and below as the EUMC). He was content with that definition. Others disagreed, regarding it as exposing critics of Israel to the unfair accusation of anti-Semitic conduct. They pointed to the fact that the definition might be read as branding attacks on Zionism as anti-Semitic and precluding criticism of Israel save where ‘similar’ to that levelled against any other country. We cannot escape the gloomy thought that a definition acceptable to all interested parties may never be achieved and count ourselves fortunate that it does not fall to us to attempt to devise one. …The Claimant does much of his campaigning through the ‘Academic Friends of Israel’ (‘AFI’), an impressively-presented organisation with a PO Box address, a mission statement and a letterhead showing its patron as the Chief Rabbi and its advisory board as comprising a list of dignitaries including the President of the Board of Deputies of British Jews. Despite appearances, as the Claimant engagingly told us, AFI consists of him, his wife and a computer. Like any experienced political activist, he is alive to the PR benefits of disseminating his own views in such a way as to seem to be speaking for a significant number of others. 74. Motion 70, which was also passed, expressed the view that the EUMC ‘Working Definition of anti-Semitism’ confused criticism of Israeli government policy and actions with “genuine” anti-Semitism and was being used to silence debate about Israel and Palestine on university and college campuses. Accordingly, the motion resolved that the union should make no further use of the Working Definition and dissociate itself from it, campaigning for open debate concerning Israel’s past history and current policy while continuing to combat all forms of racial or religious discrimination. We will return to this subject when dealing with complaint (9) below. Parliament’s expert witnesses on antisemitism, Denis MacShane, top and John Mann, called by the claimant. 77 The Inquiry was commissioned by Mr John Mann MP, Chairman of the All Party Parliamentary Group against Anti-Semitism, and a witness before us. 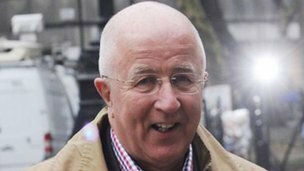 A cross-party committee of MPs (‘the Committee’) chaired by the Rt Hon Mr Denis MacShane, also a witness before us, was appointed and began work in 2005. It reported in September 2006. Jeremy Newmark, Chief Executive of Jewish Leadershship Council and witness for the Claimant. His evidence was found to be propesterous and untrue. 148. We regret to say that we have rejected as untrue the evidence of Ms Ashworth and Mr Newmark concerning the incident at the 2008 Congress (see our findings under complaint (8) above). Evidence given to us about booing. jeering and harassing of Jewish speakers at Congress debates was also false, as truthful witnesses on the Claimant’s side accepted. One painfully ill-judged example of playing to the gallery was Mr Newmark’s preposterous claim, in answer to the suggestion in cross- examination that he had attempted to push his way into the 2008 meeting, that a ‘pushy Jew’ stereotype was being applied to him. The opinions of witnesses were not, of course, our concern and in most instances they were in any event unremarkable and certainly not unreasonable. One exception was a remark of Mr Newmark in the context of the academic boycott controversy in 2007 that the union was “no longer a fit arena for free speech”, a comment which we found not only extraordinarily arrogant but also disturbing. We did not derive assistance from the two Members of Parliament who appeared before us. Both gave glib evidence, appearing supremely confident of the rightness of their positions. For Mr MacShane, it seemed that all answers lay in the MacPherson Report (the effect of which he appeared to misunderstand). Mr Mann could manage without even that assistance. He told us that the leaders of the Respondents were at fault for the way in which they conducted debates but did not enlighten us as to what they were doing wrong or what they should be doing differently. He did not claim ever to have witnessed any Congress or other UCU meeting. And when it came to anti- Semitism in the context of debate about the Middle East, he announced, “It’s clear to me where the line is … ” but unfortunately eschewed the opportunity to locate it for us. Both parliamentarians clearly enjoyed making speeches. Neither seemed at ease with the idea of being required to answer a question not to his liking. Accordingly, if and in so far as the Claimant seeks to base his claim on what might be termed a sub-characteristic (we are bound to say that we remain uncertain as to Mr Julius’s position on this point), we find that it is not open to him to do so. A separate matter, which we will address in relation to the individual claims, is whether the treatment complained of, or any of it, was ‘related to’ his Jewish race or his Jewish religion or belief. 152 Complaint (1) (certain resolutions in relation to Israel) is without substance. The resolutions were passed by Congress, for the decisions of which, as we have explained, the Respondents cannot be held liable. Through their employees and the NEC they acted constitutionally in managing the debates and implementing resolutions except where they understood (in the Claimant’s favour) that the law precluded them from doing so. Was their behaviour (rather then that of pro- Palestinian activist fellow-members) unwanted? It seems to us that it was unobjectionable and that no legal claim can sensibly be based upon it. If, as his letter before action suggested, he would prefer them to behave unconstitutionally by subverting the authority of Congress and the union’s democratic processes, he cannot base a legal claim on that preference. To entertain it would bring the law into disrepute. It is implicit in the word ‘unwanted’ that a claimant complaining of harassment must have a sustainable ground for feeling aggrieved about the conduct on which the claim is rested. He has none. 153 That disposes of the claim, but we will complete the analysis. Was the conduct ‘related to’ the Claimant’s protected characteristics of race or religion or belief? Plainly, the Respondents‘ conduct was not. Their constitutional behaviour was not connected in any way whatsoever with his Jewishness. 154 Did the Respondents‘ conduct have the effect of violating the Claimant’s dignity or creating the necessary adverse environment for him? Self-evidently, it did not. 155 Even if we were persuaded that complaint (1) could somehow stand on the strength of the actions of Congress or individual members, we would not uphold it. Apart from anything else (in particular, the question whether debates and decisions about Israel, the academic boycott and so forth ‘related to’ the Claimant’s race or religion or belief), the requisite effect would not be made out. We bear in mind the need to avoid trivialising the protection against harassment. No doubt the Claimant found some of the motions and some things said in the course of debates upsetting, but to say that they violated his dignity or created for him an adverse environment such as to merit the use of any of the five statutory adjectives (see s26(1 )(b)(ii» is to overstate his case hugely. In his evidence he spoke of reactions of ‘disappointment’. As our findings on the time defence (para 140) show, he also claimed to have been too busy to think about union matters until shortly before the proceedings were instituted. Measuring his own experience against the strong language of the legislation, we are not persuaded that, even if considered on the basis of his subjective perception alone, an effect capable of amounting to harassment is made out. 156 Moreover, even if, contrary to our finding, the Claimant perceived the conduct complained of as satisfying the language of s26(1 )(b), we are quite clear that it would not be reasonable for it to have had such an effect (see s26(4)(c». We have two main reasons for this view. First, as the authorities show, context is critical. The Claimant is a campaigner. He chooses to engage in the politics of the union in support of Israel and in opposition to activists for the Palestinian cause. When a rugby player takes the field he must accept his fair share of minor injuries (see Vowles, para 35, citing an earlier Court of Appeal authority). Similarly, a political activist accepts the risk of being offended or hurt on occasions by things said or done by his opponents (who themselves take on a corresponding risk). These activities are not for everyone. Given his election to engage in, and persist with, a political debate which by its nature is bound to excite strong emotions, it would, we think, require special circumstances to justify a finding that such involvement had resulted in harassment. We find no special circumstances here. Secondly, the human rights implications of the claim must not be overlooked. As we have noted, Article 10(2) of the Convention countenances limitations on freedom of expression only to the extent that they are necessary in a democratic society. The numerous authorities under domestic and Community jurisprudence (some cited above) emphasise repeatedly that freedom of expression must be understood to extend to information and ideas generally, including those which offend, shock or disturb society at large or specific sections of it. If the case were marginal (which it certainly is not), we would unhesitatingly hold, pursuant to the 1998 Act, ss3 and 12, that the narrow interests of the Claimant must give way to the wider public interest in ensuring that freedom of expression is safeguarded. 157 Complaint (2) is also devoid of any merit. The Respondents defended themselves courteously but robustly against treatment by the Parliamentary Committee the fairness of which was, to put it at its very lowest, open to question. Their response was sincere and had substance. On any view, it was open to them to do as they did. Their action cannot properly be seen as ‘unwanted’: it was perfectly proper and unobjectionable. No legal claim can arise from it. Our reasoning on the meaning of ‘unwanted’ under complaint (1) is repeated. 158 In any event, the assertion that the Respondents’ act of defending themselves, even if ‘unwanted’, constituted harassment of the Claimant is manifestly untenable. Even if it is assumed in his favour that the conduct was ‘related’ to one or both of his protected characteristics, it did not have the prescribed effect. As an eager participant in the political debate and a strong critic of the union, he doubtless drew satisfaction from the Parliamentary Committee’s remarks, but he cannot have been surprised that the Respondents reacted as they did. The idea that their doing so violated his dignity is absurd. Nor did it create forhim an environment to which any of the statutory adjectives can sensibly be applied. On his own case, he was “troubled”, “upset” and “hurt”. We do not accept that, judged only by reference to his subjective perception, anything close to the required adverse effect is established. 159 Further and in any event, such an effect, if it had been experienced, would not have been reasonable. The implication of this complaint is stark: that the Respondents could not lawfully defend themselves by answering the critical comments of the Parliamentary Committee for fear of harassing the Claimant by doing so. Our comments on context and human rights in respect of complaint (1) are repeated, mutatis mutandis. 160 There is nothing in complaint (3)……..
161 Complaint (4) is palpably groundless. 162 In complaint (5) we find for the first time a matter about which a legitimate grievance is raised. Although the information came to them very late, theRespondents’ decision-makers were made aware before the conference that SAHRC, an independent and reputable body, had upheld a complaint against Mr Masuku of hate speech. It seems to us that in deciding not to revoke the invitation the Respondents exposed themselves to a complaint of harassment on the part of Claimant which can be seen as arguable if measured against the language of the 2010 Act. We will return to complaint (5) in due course. 165 There is nothing in complaint (8)…. 166 In respect of complaint (9) the Claimant again fails to make out any arguable complaint of ‘unwanted’ conduct against the Respondents. There was a debate, constitutionally managed by them, which culminated in the vote to reject the EUMC Working Definition. It was open to Congress to consider that motion. Its legality was not in question. The vote was valid and the outcome was the product of the union’s democratic processes. 167 Complaint (10) is obviously hopeless. 168 Mr Julius argued that, in a case like this, a complaint of harassment must be judged on the basis of an assessment of the cumulative effect of all the matters complained of. He has a valid point: the tort can certainly take the form of a series of apparently minor acts or omissions which, taken together, cause harm reasonably seen as fulfilling the statutory language and meriting a legal remedy. The difficulty here is that the Claimant has failed to show a succession of events (or non-events) about which any complaint against the Respondents can sensibly be made. We have found that he has identified only one matter on which a legitimate grievance could be based, namely the failure (as he sees it) to revoke the invitation to Mr Masuku on 4 or 5 December 2009 (complaint (5». No question of cumulative effect arises. 177 The result is that the proceedings are dismissed in their totality. The Claimant has put before us one claim which, on initial examination, appeared arguable on its merits. Closer scrutiny, however, showed it to be clearly unsustainable. And, being hopelessly out of time, it is outside our jurisdiction in any event. The other nine claims are wholly unfounded and many are also defeated by the jurisdictional time bar. 179 We are also troubled by the implications of the claim. Underlying it we sense a worrying disregard for pluralism, tolerance and freedom of expression, principles which the courts and tribunals are, and must be, vigilant to protect (for a recent example, see Smith-v– Trafford Housing Trust  EWHC 3221 (Chj). The Claimant and his advisors would have done well to heed the observations of Mr Beloff and Mr Saini concerning the importance which the law attaches to political freedom of expression. 181 We hope that something of benefit can be salvaged from the wreckage of this litigation for the benefit of the Respondents and all their members, including the Claimant and those who share his views. The matters explored in relation to complaint (5) illustrate the need for decision-makers to be willing to react quickly to events in order to avoid the risk of attracting legitimate criticism. It was also regrettable that Mr Robinson’s complaint was referred to Mr Hickey, a well-known pro-Palestinian activist, and that it was never resolved. If an internal rule dictated the reference to Mr Hickey, it should be amended. Procedural rules should be the servants of organisations, not their masters. The obvious aim should be to devise a means of hearing and resolving complaints in which all interested parties,particularly the complainant, can feel confident. Mr Robinson was denied that comfort. 182 No doubt there are other lessons for the parties to learn. As they look to the future we hope that they will acknowledge the need to make a fresh start and work together with energy and determination to re-build trust. If they do so, a happier and more mutually beneficial relationship may yet develop.